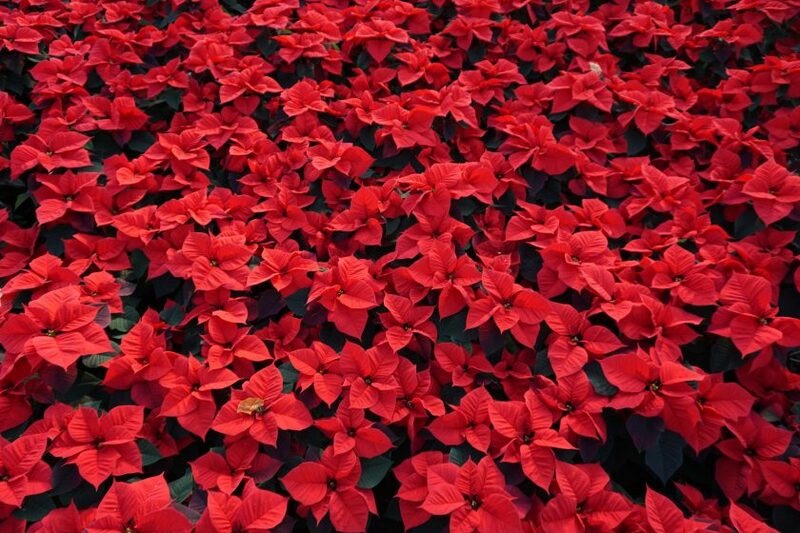 Growing Poinsettias | MG Webber West Country Grown Ltd.
Below we have added how our grower, at West Country Grown, produces such outstanding poinsettias! 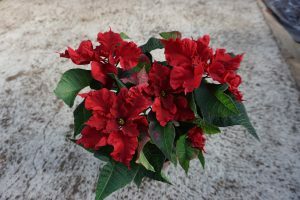 Tips pinched after 3 weeks– we pinch 9 leaves to produce a bushier plant. 21c temp for 2 weeks to ensure side shoots all grow and then back down to 18c. Spaced 3 times– each plant is graded so when the growth regulator is applied, they are all even, this keeps the plant compact. Final spacing is at 8 pots per m2 which ensures air movement, to stop the plants from rotting. Initiation– The coloured leaves are made by the plant the 3rd week in Sept (equinox) when the day length is reduced. Final month– Temp is raised to 22c for the last two weeks in October to make the coloured leaves as large as possible. Then the temp is dropped gradually to 14c, so the crop is hardened ready for Garden Centre sale.